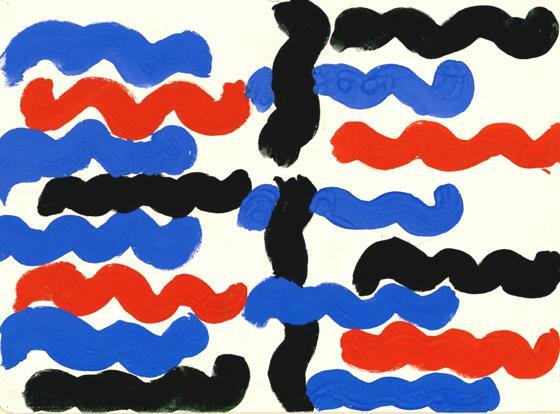 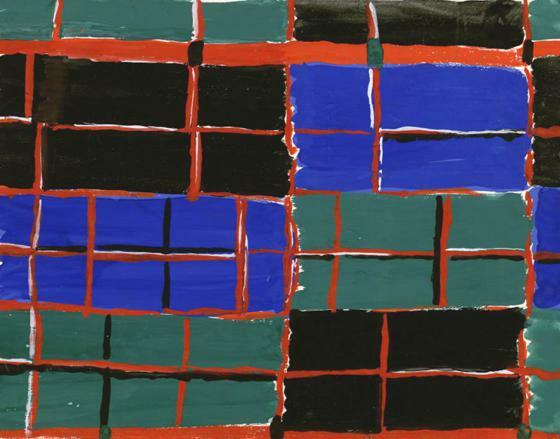 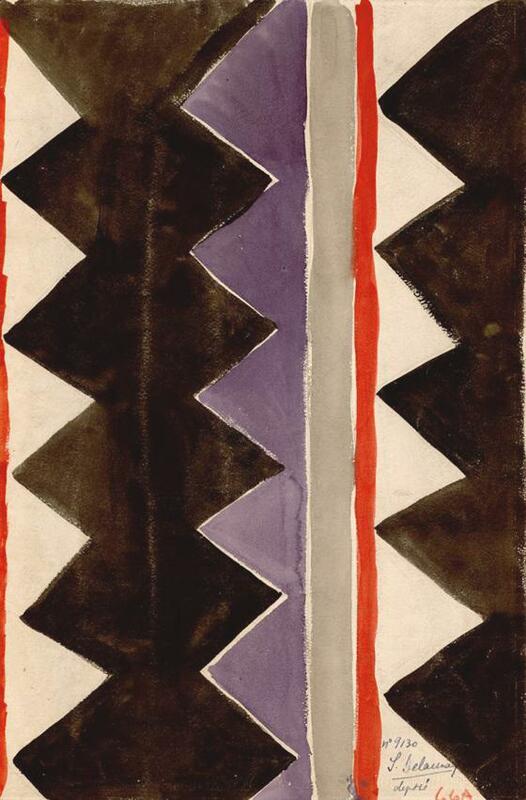 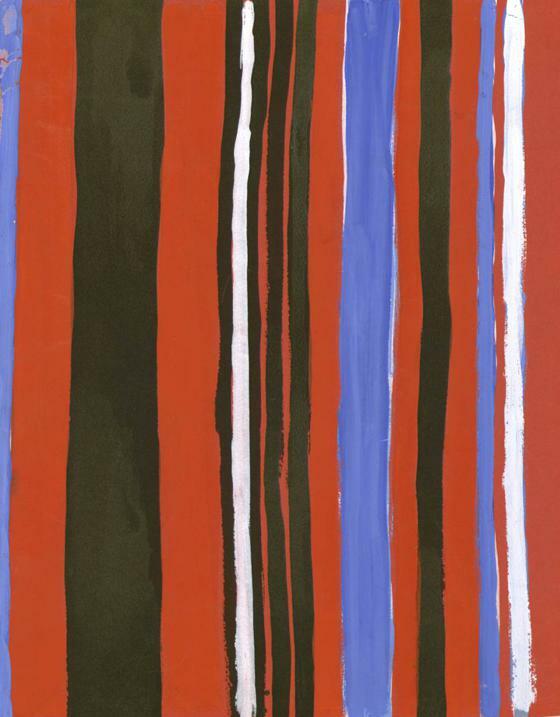 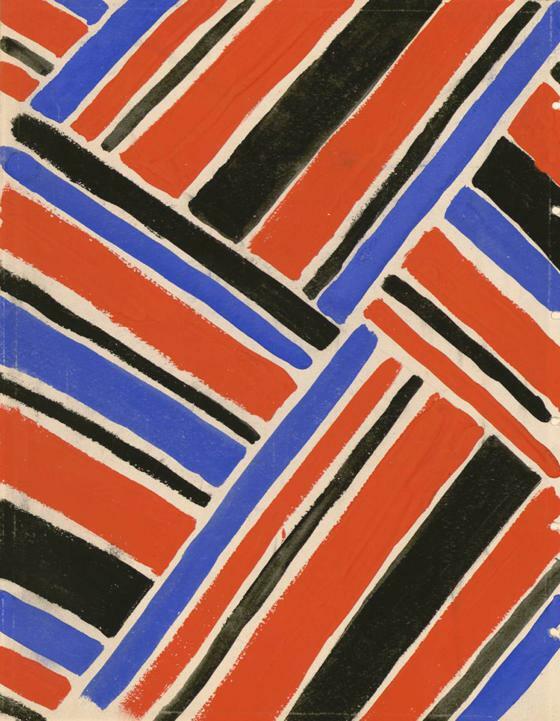 A series of original textile designs by Sonia Delaunay are on view at Les Arts Décoratifs in Paris, through 3 July 2012. 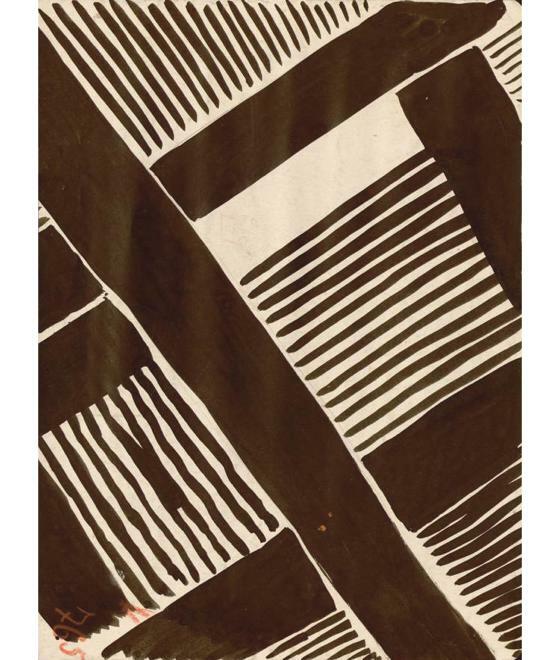 Donated by the artist herself in June 1966, this small but precious collection includes early designs for her Tissus Simultanés in the 1920s through the late 1940s. 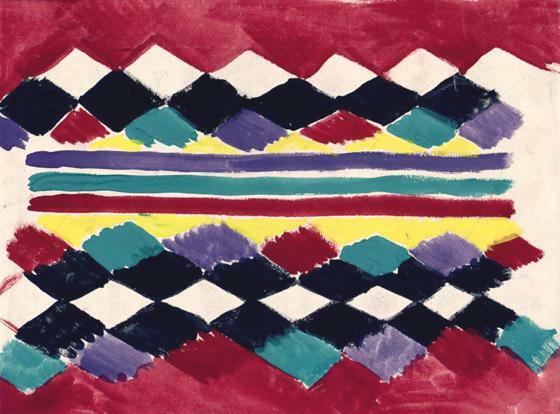 These gorgeous artworks demonstrate Delaunay’s originality and modernity; the diamond shapes, stripes, and curves, with bold color combinations or graphic black and white motives, look as contemporary as ever. 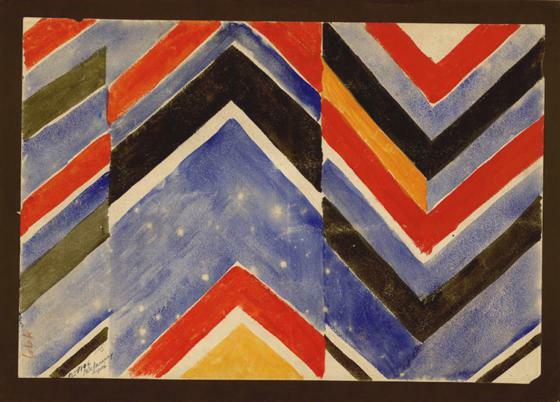 "Tissus simultanés de Sonia Delaunay : dessins en couleur (1924-1949)" through 3 July 2012.